I mean, I was sold on this by Daniel Abraham alone (we all know of the enormous crush I have on the man’s fiction), but look at the rest of that Table of Contents: Bear, Kushner, Ahmed, Parker, Lynch? It’s like Strahan reached into my mind and gathered together a list of authors to appeal directly to me. I suppose the list of included stories is a little short, but, given the amount of short fiction that I read (i.e. not enough), I’ll take quality over quantity with a smile on my face. Also, note that the page count is listed at 416 pages, meaning an average of 33 pages per story. This collection reminds me a lot of Swords & Dark Magic, also edited by Strahan, alongside Lou Anders, which collected some wonderful authors together to celebrate the resurgence of Sword & Sorcery-styled Fantasy. Strahan suggests that this could be the beginning of a new series of anthologies, thought that depends on the success of this publication. So, well, buy it, damn you. Fearless Journeys will be released on May 28th, 2013 by Solaris Books. When I reviewed Seven Princes by John Fultz back in 2011, I heavily criticized the sword and sorcery novel for lacking character, plot, and, well… substance. 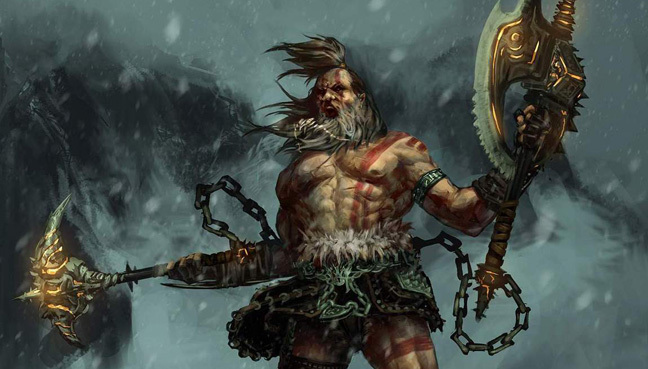 When I did that, I opened myself up to the criticism that a sword and sorcery novel lacks those things on purpose. They’re all about fun and adventure. I knew that was wrong, but didn’t have a way to prove it. I do now. Saladin Ahmed’s sword and sorcery novel, Throne of the Crescent Moon, is a superficial adventure novel at first glance. It also possesses tremendous heart and soul. Not soul in a Biblical sense, although there’s some of that too; I mean soul like Barry Gordy. Every note in Ahmed’s debut comes from an authentic place, a cultural awareness not unlike Motown in the 1960′s. Saladin Ahmed, one of the most exciting young writer in Fantasy, is giving away a short story, ‘Iron Eyes and the Watered-Down World’, today. Exciting news, yeah? Yeah, it is. I always jump on a chance to read any of his short fiction, and have raved about it once or twice in the past. He’s good. But, there’s a caveat here, and that comes to the reason he’s releasing the story. But first, the fun part. What’s next for Saladin Ahmed after Throne of the Crescent Moon? In a recent discussion on Goodreads, Saladin Ahmed, author of Throne of the Crescent Moon, gave a handful of juicy details about his upcoming projects, the two follow-up novels to his successful debut. 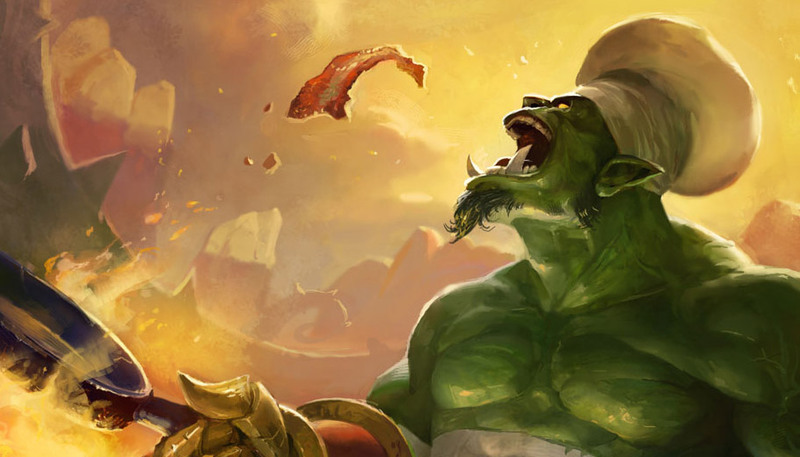 Ahmed is currently in the midst of writing the second volume of the trilogy, which has no title yet, and expects it to be ready for a mid-2013 release. 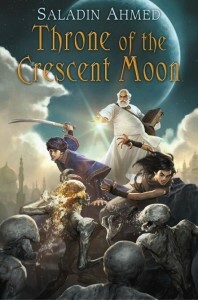 He promises that the djenn, who are only briefly mentioned in Throne of the Crescent Moon, will play a more integral role in the second novel and also says that readers haven’t seen the last between the hilarious and painfully accurate teenage romance that started to blossom between Zamia and Raseed bas Raseed in the latter half of Throne of the Crescent Moon. The later books will explore a fair amount of the map included with THRONE. Specifically, Rughal-ba and the off-map ‘Warlands’ will become hugely important. 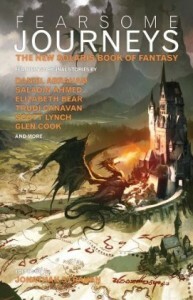 [They] will move toward epic fantasy in scale and scope, even as they maintain a sword-and-sorcery flavor. The main conflict of Book III will be a classic epic fantasy ‘clash of the big ol’ armies’ which is also a kind of Crusades analogue. Ahmed’s debut was praised for its throwback nature, embracing classic Sword & Socrcery stylings of Howard, Leiber and Moorcock, and the pacing and plot structure that generally goes alongside that type of storytelling. It will be interesting to see how Ahmed maintains that ‘sword-and-sorcery flavor’ while expanding the scope of the story to fall more in line with traditional Epic Fantasies. I’ll be curious to see how this affects the word count of the novels. Fans of Ahmed’s short fiction will also be pleased to know that more characters from his old stories will appear in the future novels. Specifically we’ll see Layla bas Layla, a female dervish who first appeared (and went renegade) in “Judgement of Swords and Souls.” Ahmed concludes by dropping tantalizing hints of everyone’s favourite semi-fictional badasses, ninjas. 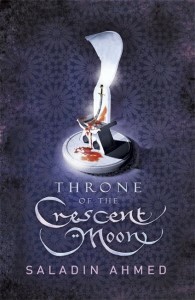 You can read my review of Throne of the Crescent Moon by Saladin Ahmed.